yes, indeed. Your posting is very helpful to help me understand the usage of loc and iloc. Thank You. Another question to ask: Is there any kind of website which we can discuss about Python topics, and post questions? Hi is there anyway for me to update a column in one dataset using a reference value from another dataset ? Hi Michael, your best bet there is to look at pandas.merge – you can join two datasets together based on a common value, and then use the matched values as your replacement. There’s another post on this site that might help you out. One of the best explanations for this material that I’ve seen anywhere on the internet. Thank you! Thank you for a very clear, and helpful exposition. how can ı set if my variable string and integer same time? iloc? loc ? for example first column integer and 2. column string ı want use both independent ? thank you so much this is the best explanation i have came across on the internet, helped a lot. Hi, is it possible to find the maximum value and minimum value from a list of 55 column and 5000 rows? 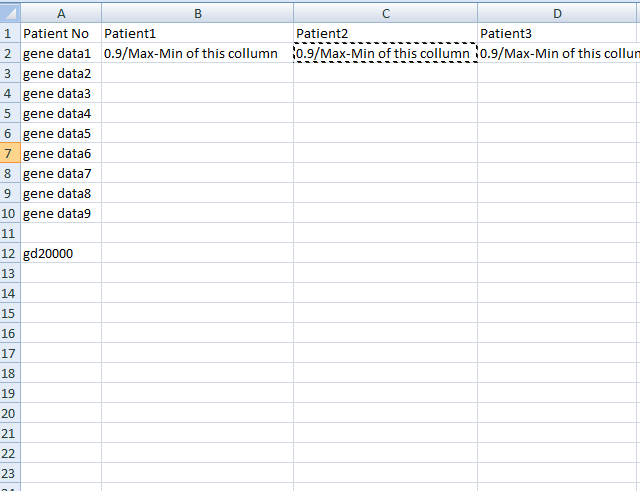 I want Final Value = 0.9/Maxmium-minimum for each column and the output in all 55 column. Thanks for the write-up. Very helpful. Thank you very much, keep posting. Much appreciated, this was very helpful! last column is fully selected, why it is still a series? This is an excellent write up with very useful examples.Thanks for sharing the knowledge.